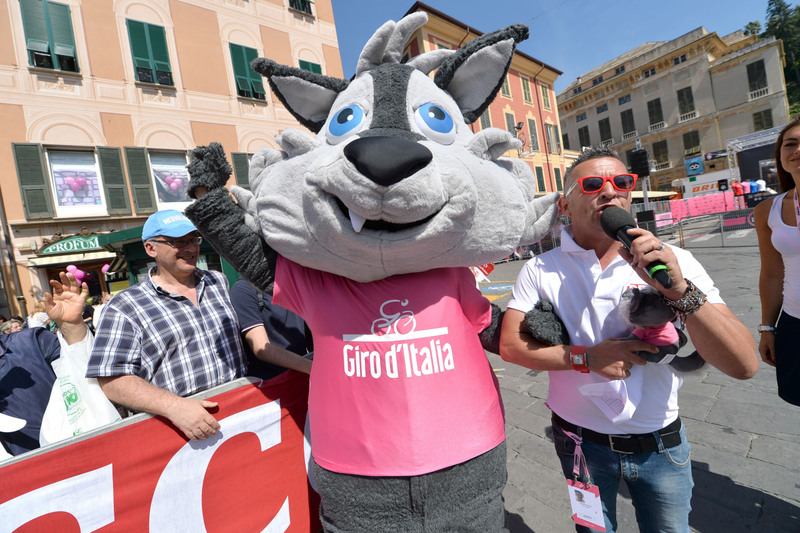 “Lupo Wolfie” is the new Giro mascot for 2015. 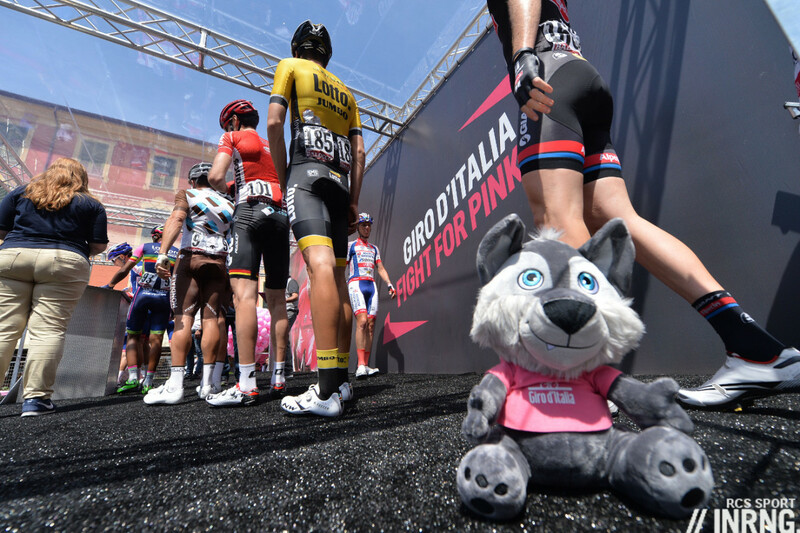 Many races have a podium plush and this one is all about supporting the wolves who roam Italy in association with the World Wildlife Fund. Now you can get your paws on one. Question: pick the rider who will finish last in Cervinia on Stage 19 this Friday. Why last? Because it’s harder than picking the winner and it’s always worth reading to the end of the results sheet to see who is struggling on against the odds, who is suffering and crosses the finish line long after the podium prosecco has been sprayed. Plus the last rider gets no free wolf toys either. How to enter: leave a comment below. Please don’t email or tweet as it’s too hard to collate the answers. The Commissaire bit: the winner will be picked on Friday evening and the goofy-toothed wolf will be posted to you shortly. In the event of a tie the names will be pasted into Excel and a random winner generated. If nobody picks a winner then the closest pick to last wins. I second this answer for my country man. He actually collected the Lanterne Rouge in the Tour last year. De Keiser van t’Kuipke, Iljo Keisse! if i “win”, I’ll donate it to his dad’s bar to go along with the goat thing he has from QS’s TTT win in the Giro a few years ago. Just adding a bit of colour to what would otherwise be a list of obscure pros. I don’t think he’d see the need to urge him. I was in the bar the day after Iljo won a stage on the Zeeland Tour and said it was a good result. They have a big Wouter Weylandt picture too. Riccardo Stacchiotti (Nippo – Vini Fantini). Inrng, do you mean finish last or is classified last? What happens if rider finishes outside time limit? If they are outside the time limit then technically they have not finished. So it’s for the last finisher within the time cut. Are you taking account of time penalties? No, just last place on the stage, nothing more or less. Are you bold enough to give your prediction Mr INRG? Cheng ji then, in support of my fellow countryman who works so hard for his team leader. This mascot is nothing but a pale imitation of Warrington Wolves Rugby League’s Wolfie, who has been delighting crowds at the Halliwell Jones stadium with his cheeky antics for 10 years at least. Warrington Wolves?! You mean The Wire surely!! Never been a fan of the NRL style nicknames, I still support Bradford Northern. Face it, “Northern” is a daft name for a rugby league team. It’s like a cyclist having the nickname “the cyclist”. I won’t go into the history of why Northern and the Great Betrayal, but fair point. ok, Gatto’s apparently already left. Switching to Rick Flens. Having a guess at Davide Appollonio. Nicola Boem, if he’s still in the race. Assume this is within the time cut? Well done to all those who guessed correctly, good luck! I guess it would be Ariel Maximiliano Richeze, given such a lot of work he’s done today for Modolo’s leadout. Bert de Backer. Nice Prize!! Fabio Silvestre – hope he will get enough sticky bottles to reach the top. Long time reader, first time poster – have to admit I bought a Lupo Wolfie from Gazzetta’s website, so I’ll go with Richie Porte and let some lucky adult share in the joy of reverting to childhood. Aussie, Aussie, Aussie, slow, slow, slow! 1) When do entries close? Before the stage starts on Friday I presume but I don’t think it says anywhere? 2) Are you tracking ip addresses to make sure people aren’t entering several times with all the usual suspects? 1) Let’s say midday on Friday for the cut-off. 2) All comments left via this site do have the IP address at the back end so this can be checked. Has to be the breakaway destroyer Cheng Ji. Iljo Keisse for the win! Er, anti-win? It would really please me if it would be beef-eater Contador ! After his efforts in the break today, I’m going for Chad Haga. Stage is underway so any entries after this comment won’t count. Thanks to all those who took part, good luck or as they say in Italy, in bocca al lupo. Last rider was Luka Mezgec. Two people got it right: ZigaK and Merino. I flipped a coin to decide… ZigaK wins. Congratulations.